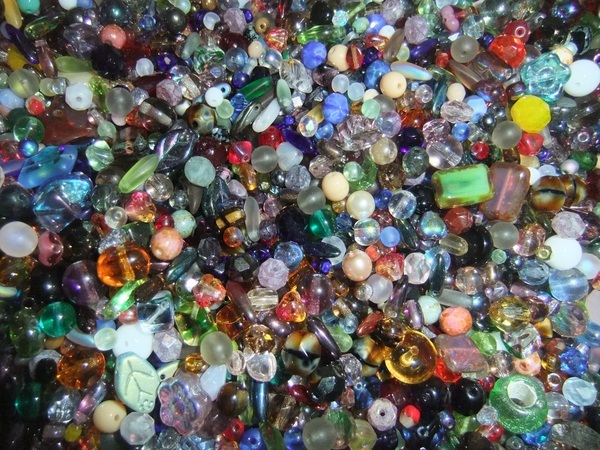 Every beader ends up with leftover beads. 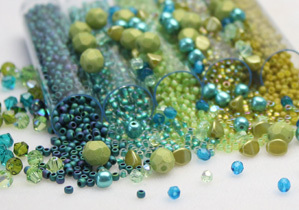 The longer you bead, the more these odds and ends pile up and you’ve often got a box or two of unsorted beads that you’re not sure what to do with. Well, we’ve got some great ideas for how you can make use of those beads you do have to create some unique and stylish jewelry! The DIY Chan Luu Style Bohemian Wrap Bracelet is a perfect design for using leftover beads. You can mix and match colors, shapes and even sizes to get the look you’re going for. Grab some leather cord in several fabulous new colors and start digging through your collection of beads and you’ll have a bunch of stylish new bracelets in no time! This Eclectic Daisy Chain Bracelet from Rise and Shine is also a great way to use up left over beads with a simple stitch and each bracelet you make will be unique! Make one in as many color schemes as you can and you’ll have one for each outfit! The DIY Clustered Pearl Bracelet from Twinkle and Twine is a design that can be adapted for just about any leftover beads, whether they are Swarovski pearls, Firepolish rounds or even Rhinestone balls! Check it out and give it a try! Very cool. I’m going to try that pearl bracelet. I love the flowers, Thanks!